rate: 100The respiratory system is weak, so I cough in the turn of the year. The respiratory system is weak, and I cough in the season of change. I still eat Yonggak San Candy. 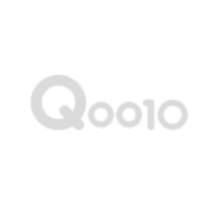 "Q0010" I made several purchases through the online site, but I am always very satisfied with the shipping, delivery, and no complaints at all. The payment process also has considerable trust. rate: 100I think I bought it at the lowest price possible. I bought a lot of different products for a long time compared to other products, but I was worried about the products. The actual product is much better than the picture. I think I bought the price as cheap as possible. Then I bought a lot of good products! I bought a lot of different products for a long time, but I was worried about the products. The actual product is much better than the picture. I think I bought the price as cheap as possible. Then I bought a lot of good products! I bought a lot of different products for a long time, but I was worried about the products. The actual product is much better than the picture. I think I bought the price as cheap as possible. Then sell a lot of good products!